This service is recommended especially for the couple that have planned their wedding on their own, and are looking for "Peace of Mind" on their special day. Let a wedding professional help you with the fine details and help avoid problems that may arise. I will ensure that your wedding plans are executed with utmost attention to detail allowing you as well as your family and friends to enjoy and take great pleasure on your wedding day. For those who are planning an event on their own, but need some assistance. Hourly consultations can help you select top quality vendors, answer etiquette questions, find wedding favours, or simply finalizing all the details you determine the areas you need assistance with and I will offer you the guidance you need for your wedding day. On average it takes 250 hours to plan and coordinate a wedding. 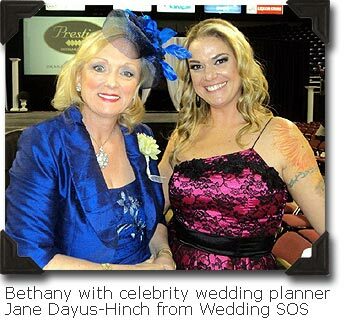 Why not let a Wedding Coordinator save you time and assist you. 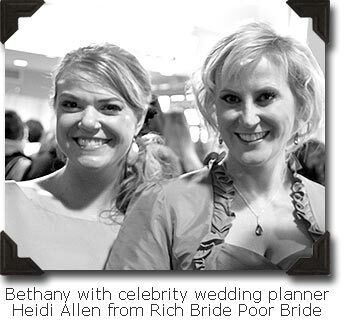 I will provide individualized service and "Peace of Mind" on every detail of personalizing plans on your wedding day. Along with an initial consultation, you will have meetings planned for you with vendors, assistance provided at every stage of the planning process and support in the management of budget and scheduling of your wedding. I can offer the couple as much involvement as they wish to be included with. Let someone else do the legwork for you. Details see Wedding "day of" Coordination Package above.